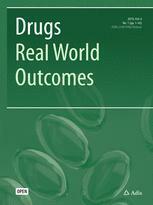 Drugs - Real World Outcomes offers a range of additional enhanced features designed to increase the visibility, readership and educational value of the journal’s content. Each article is accompanied by a Key Points summary, giving a time-efficient overview of the content to a wide readership. Articles may be accompanied by plain language summaries to assist patients, caregivers and others in understanding important medical advances. The journal also provides the option to include various other types of enhanced features including slide sets, videos and animations. All enhanced features are peer reviewed to the same high standard as the article itself. Peer review is conducted using Editorial Manager®, supported by a database of international experts. This database is shared with other Adis journals. Upon acceptance for publication, manuscripts submitted to the journal will be subject to an article processing charge (APC) of US$2,200. Adis Open Access enables you to make your journal article freely available to anyone, in exchange for payment of the APC. This option allows you, the author, to retain the copyright of the article according to the terms of the Creative Commons Attribution Non-Commercial (CC BY-NC) License, which does not permit commercial re-use ofthe article. Real World Evidence: Can We Really Expect It to Have Much Influence?